Volunteering for the Ed Day re-election campaign is a rewarding and fulfilling experience. 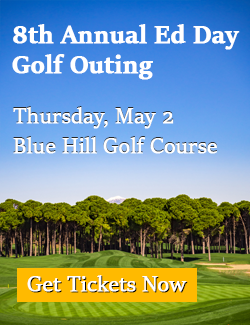 Not only are you assisting in a great cause committed to “Leading the Way to a Better Rockland”, but the experience will be full of fun and excitement. We list descriptions of sample volunteer roles on this page. Check the boxes for any role(s) that might sound right for you to get started. Window signs are primarily for business locations and are only available for pickup in person at the headquarters location. Help hand out literature in front of supermarkets, bagel and coffee shops, ball fields and other populated shopping and/or sporting venues. Participate in distribution of literature in designated areas of the county to either residential or commercial locations. To be on the ballot requires the candidate to obtain signatures from registered voters. We need volunteers to go door to door in their neighborhood or staff a table at strategic events to collect signatures. Please note that to collect signatures you must be a registered member of the party you are collecting for or be a notary public. In addition to filling out this form, you can also reach out to our Campaign Manager Dan Weisberg for more information about volunteer opportunities at 845.406.0975 or rocklandforedday@gmail.com.